• Healing the Heart of Democracy launch - big! 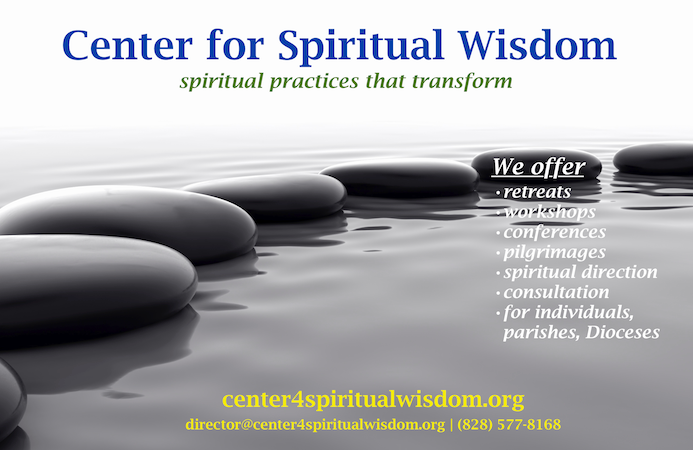 Center for Spiritual Wisdom begins its second year this month. We're not pausing very long to celebrate because we're just getting started in earnest pursuing the vision of transformation through spiritual practices. But we thought it deserved a brief mention here so you can join us in saying Hooray! Healing the Heart of Democracy, a collaboration with Brevard College focusing on the book by Parker Palmer, got off to a rousing start. On March 30th, John Fenner gave a keynote presentation to 125 attendees at the college. A whopping 78% of those who came signed up for weekly discussion groups this month and next to explore the habits of the heart that promise to bring healing and renewal to our Democratic system. That's a WOW! Support is growing: we held a fundraiser recently that saw nearly 50 people come out, hear about the Center's mission, and witness the premier of our new promotional video (coming soon to our web site). At the event, we announced that our 501 (c) (3) tax exemption letter arrived — just a few days before the party. Whew! As a non-profit organization, we need and welcome your donations. Give online HERE. Golden Opportunity: the first event noted below is a one-day retreat-style workshop on April 15 in Brevard by Amazon best-selling author Randy Siegel. The workshop is called En-ONE-Ment, and we highly recommend it for those who are ready to go deeper using the power of spiritual practices. The deadline to register is almost here, so please act fast and invite a friend to come with you. 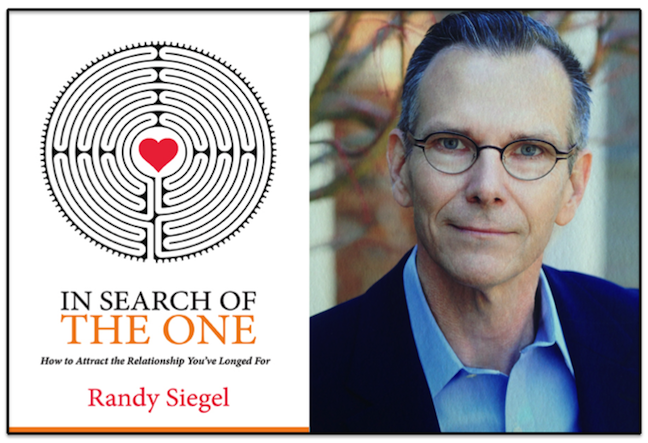 En-ONE-Ment, a retreat style workshop with Amazon bestselling author Randy Siegel, will be held Saturday, April 15 at Elk Haven Wellness Center in Brevard. The retreat is for those who want to be in closer union with themselves, others, the natural world, and the divine. 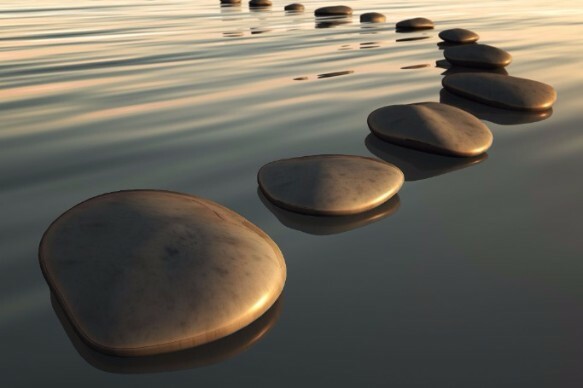 Retreat participants will determine which path is most relevant to their lives right now and explore—and perhaps commit to—spiritual practices that will assist them along that path. Participants will have the opportunity to experience a seventh self—their observer self—that witnesses all, but judges nothing. By increasing awareness of the witness self, it becomes our guide. Cost for the all-day workshop, including a light lunch and all materials, is $75.00. Register online by April 10 HERE. We're looking for participants willing to experience one of our first retreat-style conferences. There will be a special registration fee of just $25 for the full conference since this is a pilot project, and we'll be asking for feedback from participants. Get in on the ground floor! Email Director Rob Field and let him know of your interest: director@center4spiritualwisdom.org Attendance will be limited to insure a high-quality experience. Further details will appear in our May newsletter, but why wait? Center for Spiritual Wisdom will soon be offering the ancient spiritual practice of pilgrimage starting in early 2018. Have you ever wanted to go to the Holy Land with an experienced spiritual guide? Tom Lewis, our Program Director, has led numerous pilgrimages to the Middle East, and he's planning to go again next February. Why don't you consider going with him? Watch future newsletters for further details.